MANILA – The National Basketball Association announced on February 2, 2019 that the Jr. NBA Philippines will return for the 12th consecutive year and expands to provide youth in the region the opportunity to represent Asia Pacific in the second Jr. NBA Global Championship, a youth basketball tournament for the top 13 and 14 year old boys and girls teams from around the world. The said tourney is scheduled on August 6-11, 2019 at ESPN Wide World of Sports Complex at Walt Disney World near Orlando, Florida, USA. 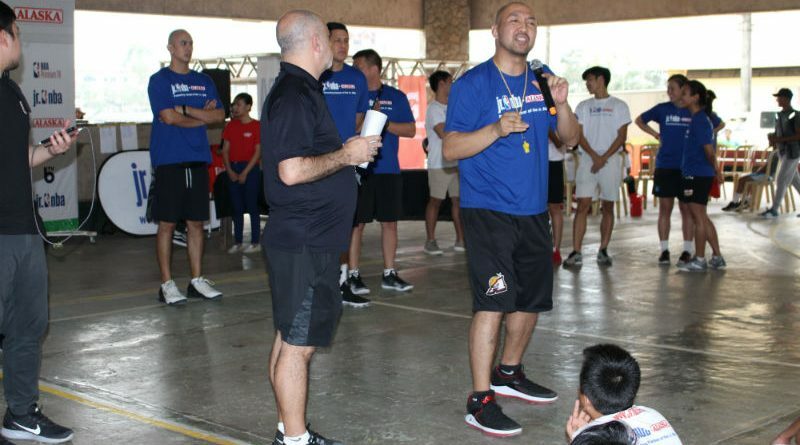 The 2019 Jr. NBA Philippines tipped off on February 2 in Manila with a train-the-trainers clinic for teachers and coaches. The program, which aims to teach the fundamental skills and core values of the game at the grassroots level, will once again include nationwide youth clinics, coaching workshops, and training camps. The event is introducing a new innovation this year where the Jr. NBA Global Championship Asia Pacific regional competition will include youth from Australia, Indonesia, Malaysia, Philippines, Singapore, Thailand and Vietnam. As many as five boys and five girls from the Jr. NBA Philippines National Training Camp will be selected to participate in the first Jr. NBA Global Championship Asia Pacific Qualifiers, a week-long event in June that will feature top youth players from the region. The top performing 10 boys and 10 girls will represent Asia Pacific in the Jr. NBA Global Championship. NBA Philippines Managing Director Carlo Singson expressed his excitement of the new developments. “As we expand the Jr. NBA Philippines program, we are excited to introduce new opportunities for players and coaches to gain an enriching experience playing with and learning from peers of diverse cultural backgrounds. Together with longtime partner Alaska, we are committed to growing the Jr. NBA Philippines into an inclusive program that fosters a safe and fun environment for boys and girls to compete, learn the fundamental skills and values of the game, and positively impact the next generation of Filipino athletes.”, he said. 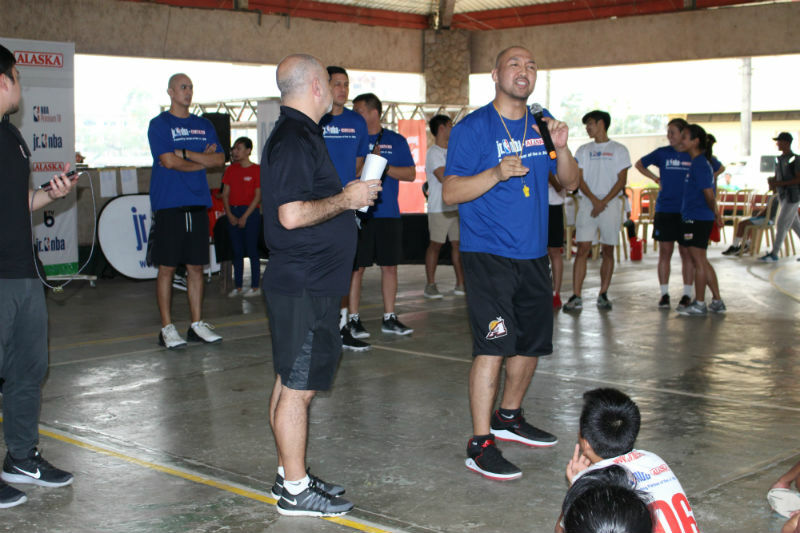 Meanwhile, Alaska Basketball Powercamp Director and Alaska Aces assistant coach Jeff Cariaso looks forward to leveraging the excitement of the NBA to inspire basketball participation and utilizing the Jr. NBA Philippines program to promote the importance of active play and proper nutrition among the Filipino youth. “Jr. NBA Philippines, presented by Alaska, continues to be a great platform to reach kids at a young age and inspire them to learn the fundamentals of the game in a fun and engaging way,” he said. Regional selection camps will be staged in Lucena (March 9-10), Baguio (March 23-24), Metro Manila (April 27-28), and a city in Visayas and Mindanao to select the top 40 boys and 40 girls that will advance to the National Training Camp in Metro Manila (May 17-19). As in previous years, an NBA and WNBA player or legend will be featured during the National Training Camp. The 2019 Jr. NBA Philippines will also include the Jr. NBA Coach of the Year program to provide training for 14 Jr. NBA coaches during the National Training Camp, culminating with the male and female Jr. NBA Coach of the Year attending the Jr. NBA Global Championship Asia Pacific Qualifiers. The Jr. NBA Philippines is also empowering its presentor, Alaska Sports, as it furthers its mission to provide proper nutrition to youth through its leading brands – Alaska Fortified Powdered Milk Drink and Alaska Chocolate Powdered Milk Drink – and by encouraging an active and healthy lifestyle. The NBA and its teams plan to reach more than 51 million youth in 75 countries through league play, in-school programming, clinics, skills challenges, and other outreach events during the 2018-19 season,. Participants can now register for the Jr. NBA program online at www.jrnba.asia/philippines, and follow Jr. NBA on Facebook and the NBA at www.nba.com and on Facebook and Twitter. Fans can visit www.alaskamilk.com to learn more about Alaska Milk Corporation, and follow Alaska Milk on Facebook for more information about Alaska Sports.